Beppe Marotta has enjoyed incredible successes at Juventus and has reportedly put himself up for hire in the European market. Ivan Gazidis is ready to hit the brakes on his CEO role at the Emirates, and chase after the same at Milan. Gazidis will be clearing his work desk soon and Juve’s Morrata will assume his place as the Gunners new CEO, reports in Italy say. With the 61-year-old in the frame, it makes perfect sense the Gunners have pegged him as Ivan Gazidis’s successor. Boasting of a record tally of seven Serie A titles, four Coppa Italia trophies and three Italian Super Cups, Marotta is definitely the pick of the bunch. 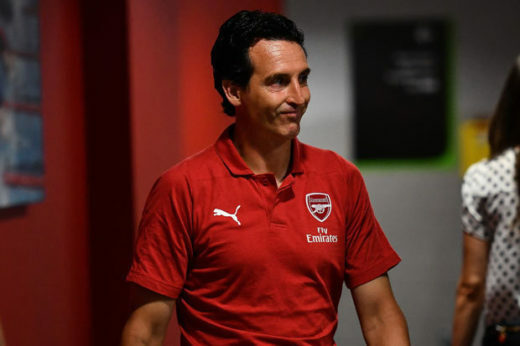 Arsenal has derailed in its pursuit for Premier League glory and hiring Marotta, whose Juventus side have dominated the Italian Serie A for the past eight years, could set the Gunners back on course. “For the time being I will remain in place as chief executive but I wanted to make this statement in order to avoid any speculation. I will assess my position along with the club president in the coming days…”He added. Arsenal are willing to up his pay from 2.6 million offered to Gazidis to 3.5 million pounds, claims Tuttosport. Meanwhile, Roma, Napoli, Manchester United are said to have their eyes on the successful manager.